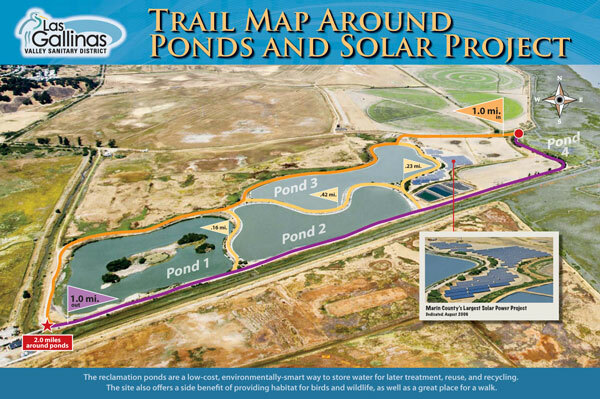 The Las Gallinas Valley Sanitary District’s Wastewater Treatment Reclamation Project provides several miles of even-ground hiking trails, unobstructed views of San Pablo Bay, Mt. Tamalpais, sitting and picnic benches and the opportunity to enjoy hundreds of bird species that float in, out and around the reclamation area, as well as other creatures that call the reclamation area “home”. 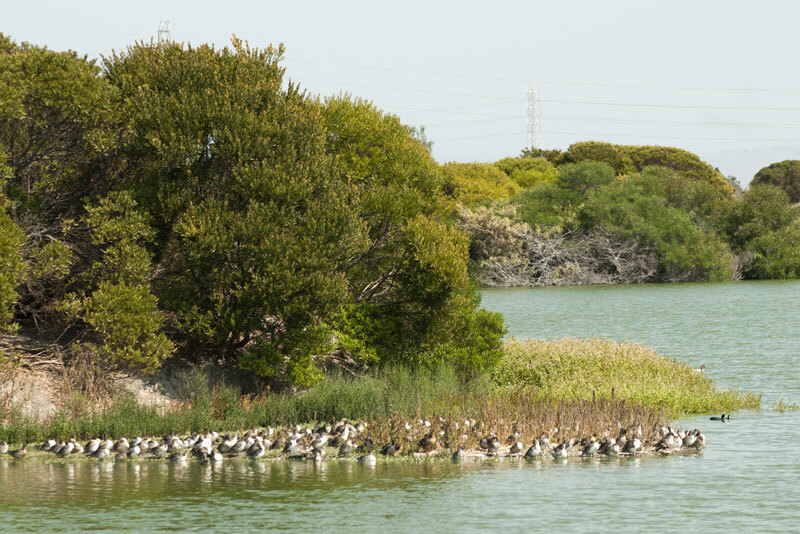 Visit our multi-faceted reclamation project that includes a freshwater marsh, irrigated pastures, storage ponds, a saltwater marsh and a great place for a walk, a ride on your bike or to just sit and bird watch. The area is open year-round. Please observe the simple rules and any posted signs. 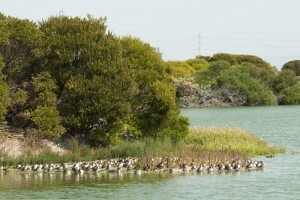 Help keep the reclamation area successful by not feeding wildlife. 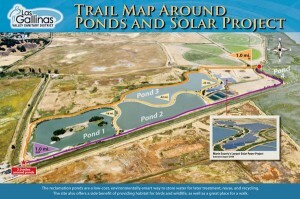 Our website provides additional information on path distances and general rules and hours.